Call 020 3811 5808 now for a free telephone consultation about mesothelioma or an asbestos claim in London. Our compensation solicitors and lawyers work on a no win no fee* basis. Asbestos causes lung cancers and mesothelioma. If you are suffering due to an asbestos-related disease, then our lawyers and solicitors can help you to recover the compensation that you deserve. By calling our hotline today you can get a free telephone consultation about how we can handle your mesothelioma compensation claim. Because we work on a no win no fee* agreement, it means you and your family can get access to the UK justice system and claim insurance or compensation payments for your illness. Our friendly and understanding personal injury solicitors will be able to advise you on what next steps to take and whether or not you are eligible to make an asbestos claim in London. London’s rich and varied history as an industrial hub for the UK means that there have been an increased number of sufferers of asbestos-related diseases such as mesothelioma, cancers and lung problems. If you previously worked with asbestos, or are the victim of second-hand exposure due to a family member’s work then you might not be aware of the damage that has been caused until many years later. If you have exhibited symptoms then you should be afforded the very best in medical care. At Personal Injury Solicitors London we believe that all sufferers seeking asbestos claims compensation deserve the very best – which is why we fight tirelessly for our clients. You many never have worked directly in contact with asbestos, yet still be affected. UK claimants have successfully received asbestos compensation due to living near factories, or because their family member’s clothes were contaminated. No matter how long ago it was that you were exposed to asbestos (for example whilst working in a warehouse), if you have been diagnosed with a related illness (click here to see an asbestosis definition from the NHS) in the past couple of years, then we are perfectly placed to help and support you. Our mesothelioma claims experts know the industry, know how the process works, and are able to pursue your claim for asbestos compensation in London with an understanding attitude, and expert eye for detail. Mesothelioma is one form of cancer which is commonly attributed to asbestos exposure. Mesothelioma compensation in London is sometimes referred to as “Meso” compensation, and sufferers are in most cases able to make a claim successfully. Mesothelioma compensation claims in London will vary from case to case, and we always advise first talking to an asbestos claims solicitor or lawyer in London so that your claim can be individually assessed. If you would like to talk to a specialist, then please call our helpline today. When you call you will first speak to an accident and injury claims specialist. 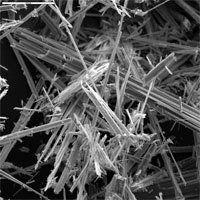 They will quickly be able to assess whether or not you are eligible to make an asbestos claim for compensation in London. If you are then we will arrange an appointment in person with a personal injury solicitor who will be able to proceed with the claim and case for you. Please bookmark the “Asbestos Claims London” page for future reference. We also work on other work related personal injury claims such as industrial hearing loss and office accidents.